As the Executive Vice President, General Manager of Skyview Networks, Jeanne-Marie Condo is the chief sales strategist for the company. A visionary leader, Condo is responsible for a dynamic national sales portfolio which includes radio, television, digital and events/in-game opportunities. Skyview delivers 99% US coverage, providing national advertisers custom experiences powered by some of the most influential brands in sports and entertainment. Condo is a media sales industry veteran of 30 years, first launching her career with Phoenix’s KTAR 620 AM Sports. Over the course of her nine years with the station, she was named lead Sports Marketing Director and headed the local sports sales initiative with the former Phoenix Cardinals and Phoenix Coyotes, at one point recording the largest sales deal in KTAR history. In 1996, Condo joined Skyview Networks as Executive Vice President, General Manager to design and lead the company from a regional sports sales focus covering Arizona and California, to a national powerhouse partnering across all four professional sports leagues. She has proudly maintained a long heritage list of clients who equally believe in the power of play-by-play, while also fostering the growth of Skyview’s nationwide sales force and support team to drive Skyview’s transformation into a multi-million-dollar corporation. In 2014, Condo was selected to lead the national sales strategy for the re-launch of ABC Radio. With Condo at the helm, Skyview’s talented team of executives are the exclusive sales partner for ABC Radio, charged with creating unique opportunities for clients leveraging the power of ABC’s talent to create meaningful brand integrations for its clients. In 2018, Condo was tapped by CBS News Radio to lead its national sales strategy. She and her sales teams have successfully powered CBS News Radio, bringing the news, long-form and short-form opportunities to clients. 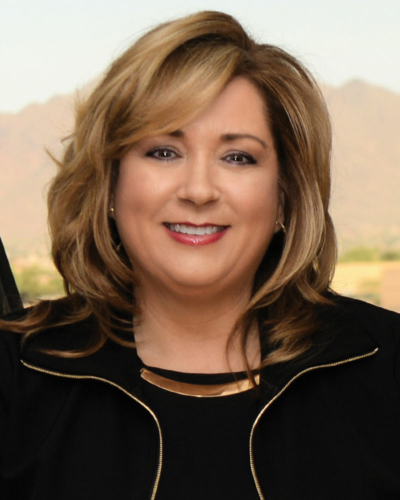 Condo is also involved in the local Phoenix community, where in 2014, she served as March of Dimes Signature Chef Chair, successfully raising the largest donation for the event to date. In June of 2017, she became the President of the National Association of State Radio News Networks.